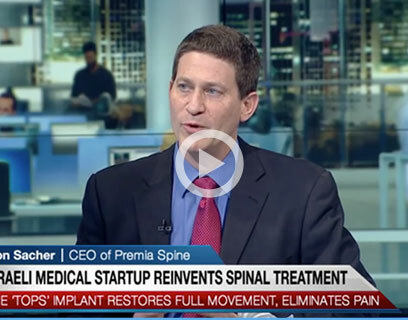 We at Premia Spine are driven by a goal: to bring the most innovative and effective spine products to the market. We strive for excellence in motion preservation and minimally invasive spinal procedures. 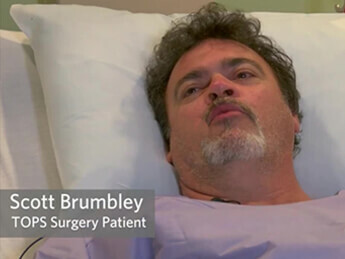 With the TOPS™ System and the Nexux™ System, we provide patients with an alternative to fusion for those suffering from spinal stenosis and spondylolisthesis. Until recently, conventional wisdom dictated that these patients needed to be fused. 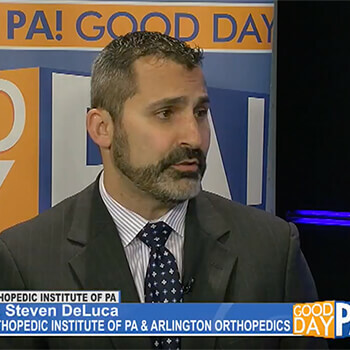 With our new technology—backed by clinical studies—we are proving that surgeons can preserve motion while maintaining spine stability without rigid fixation. 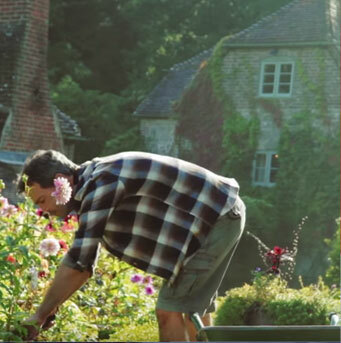 Our first TOPS™ System patients are leading active lives with our implants for over a decade to prove it. 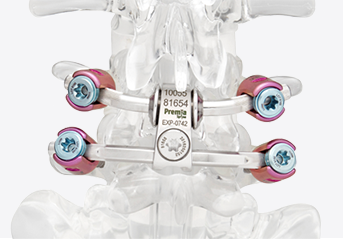 For other patients who require a fusion, we have optimized the procedure with our ProMIS™ Fixation System. We offer a state-of-the-art minimally invasive solution that reduces x-ray exposure, minimizes the skin incision, and reduces the time in hospital. 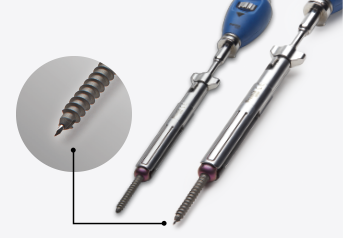 We provide quicker screw placement techniques, better reduction options, and compact instrumentation to perform the procedure safely and efficiently. There is also a big benefit to the hospital administrators. Premia Spine products deliver cost savings and efficiencies with individual-packaged and pre-sterilized implants. There is no need to expose implants to multiple patient surgeries, and sterilize and re-sterilize them. Starting fifteen years ago, we placed our patients and surgeons in the center. And we continue to do so in order to deliver the most innovative and effective spine products to the market. We hope that our website provides you the information needed in order to choose Premia Spine above the others. We’re always listening, so please contact us with any questions, comments or requests. 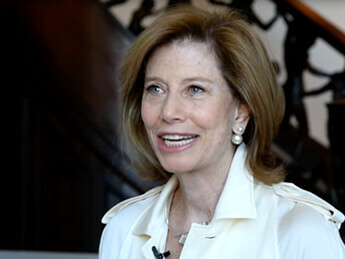 Bonnie explains her thoughts and the treatments she pursued before undergoing spinal surgery. She is now back to normal activity after years of suffering from spinal stenosis and spondylolisthesis. 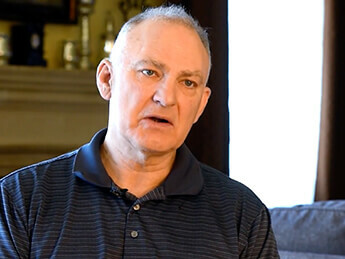 Scott discusses his decision to undergo TOPS surgery, a new treatment for spinal stenosis and spondylolisthesis now available at St. Vincent's Healthcare in Jacksonville. The Ascension facility is one of 30 hospitals across the United States participating in an FDA study comparing traditional lumbar fusion to the TOPS System. Contact Premia Spine if you would like more information on participating. Wade describes his recovery and return to activities he never thought he’d be able to do again. Only a few months beforehand, Wade was concerned that he’d be permanently disabled and have to quit work. In 2003 a select group of surgeons and engineers teamed up to improve spine surgery. More than 15 years later, we have grown from a few great ideas to a large portfolio of patented innovative spinal products backed by satisfied patients, surgeons, and partners.